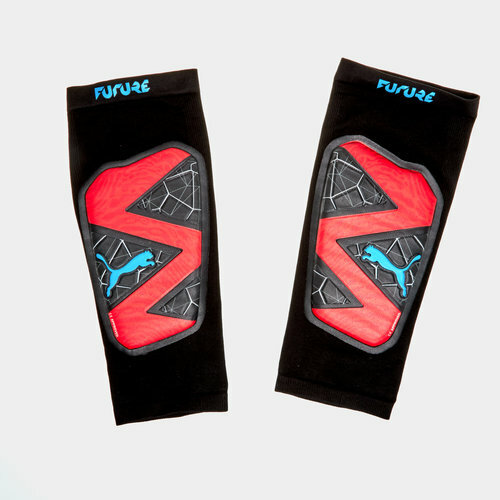 Protect yourself in those 50/50 tackles with these Puma Future 19.1 Football Shin Guards in Red Blast and Puma Black. 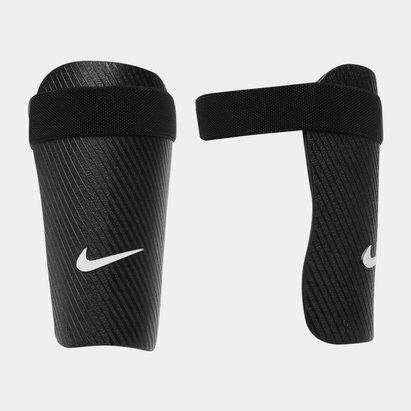 These shin guards do away with the traditional hard shells used and instead use a flexible, form-fitting solution that slides on easily and stays put throughout the match thanks to the knitted compression construction. Your legs are protected by an impact-resistant layer of fabric that's backed by EVA foam for extra cushioning whilst the lightweight design supports agility out on the field.